I strongly base my listening habits on the way music makes me feel. This is why I listen Collective Soul instead of Radiohead. Radiohead is very innovate and constantly pushes the envelope. Collective Soul is a middle-of-the-road rock band that you may hear in your dentist’s office. Radiohead has made their mark on the music scene; Collective Soul not so much. However, listening to Radiohead puts me in a gloomy mood, whereas Collective Soul is much more uplifting. Simply put, I like the way I feel after listening to Collective Soul. In a similar way, U2 will always be a preferable band to The Beatles. I enjoy the Beatles music very much, but they are like musical carbohydrates. It is enjoyable, but I don’t feel like I get much out of it. On the other hand, I feel that U2 touches me on a spiritual level; they hit a spot that the Beatles can’t reach. One thing that the Christian music industry needs more of is excitement. It needs more artists willing to push the envelope in a musical fashion. 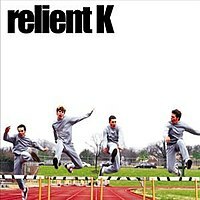 For some reason, many artists of “Christian music” don’t do this too often. For yet another unknown reason, the artists who “happen to be Christian” often do, such as U2, The Fray, Mat Kearney, and Switchfoot. When I say “push the envelope”, I don’t mean thrash metal, or anything like Radiohead who goes off the deep end frequently ( I personally sort of like Radiohead, although I don’t like the mood I get from listening to them). I just mean, not only have something to say with your lyrics, but have something to say with the music itself. U2’s sound is always changing, The Fray brought back piano rock, Mat Kearney mixes folk and hip hop. Switchfoot is another one of the innovative bands. Whether they are even considered “Christian music” or not I don’t even know, but they are one of the few bands associated with Christianity who are willing to experiment and do different things with their music. I did a review of their album Oh! Gravity a while back. They have another album out called Hello Hurricane. I don’t think I like it quite as much as Oh! Gravity, but it is still a really good album. I may do a more in-depth review later. Their single “Mess of Me”, I’ll be honest, I’m not a huge fan, but at the very least, it is an exciting, edgy song. It may have to do with masculinity. I have a feeling I may be getting into controversial territory, but bear with me. The book Wild at Heart by John Elderidge talks about how the man yearns for excitement and adventure (He asserts that women do as well although in a different manner). Now, this search for excitement and adventure can take on different forms. It doesn’t mean we all have to be in extreme sports or get tattoos or even like a particular type of music. For me personally, I’m not athletic, I don’t get inked, and I work in an office with AC, but I like my music to not be boring. I like music with a sense of adventure, and to me personally, a lot of that is lacking in Christian music today. I think an idea that gets looked over is that God can be glorified through art itself, not just what the art is about. If a beautiful painting is done, can God only be glorified because that painting happens to be of a church, or of Jesus? Sometimes I wonder if Christian artists think God can only be glorified through explicit Christian lyrics, and not through simply beautiful music. 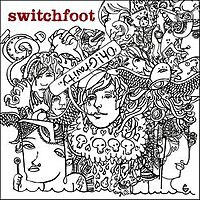 Switchfoot, whether intentionally or not, set out to remedy all the wrongs of CCM and CR in this underrated album. This is Switchfoot’s last release back in 2006, and, to my knowledge, only the title track has received a little bit of airplay. I seem to be the only one I know who listens to radio on the internet, but in case anyone else does, I am a fan of Slacker Radio. There are preset radio stations according to genre that are pretty decent, but you can also customize your station. You can start with an existing station and ban artists or songs you don’t want to hear and rate certain songs as favorites. You can also start from scratch, adding your own artists. If you add as much as 15 you can choose to hear only those artists, or you can choose to hear a little variety beyond the artists you’ve chosen. Another similar station is Pandora, which I have posted about earlier. I personally like Slacker a little bit more because of its interface, and I prefer its Christian rock station, but each one has its own advantages and disadvantages. Slacker has the nicer interface, an ability to fine tune more parameters, such as recent/class songs, more variety of artists, and popular vs. more obscure songs. Pandora has the ability to listen to other people’s created stations, and the user can do a mix of multiple stations. Also, it is superior to Slacker in terms of finding similar songs and artists. It appears that Pandora looks more at song style, whereas Slacker seems to place the focus on artists in the same genre and year. Where Slacker is annoying is that when I put U2 as an artists I like, it suggests a bunch of has-been bands from the 80s. For both these stations, it is nice to save a song as favorite or ban it outright, something that has plagued the radio station for decades. However, I find sometimes that other people, even a machine, does a better job of song selection than myself. I like hearing the unexpected variety of an already existing station as opposed to hearing a bunch of artists I have already heard. The bad thing about custom stations is it prevents you from hearing more new stuff; if I want to hear stuff I already like I typically listen to my iTunes library.